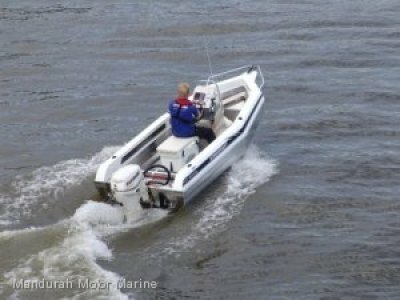 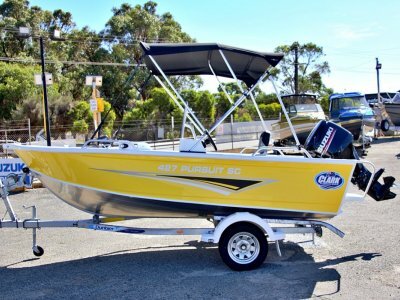 The Clark 4.35 Navigator has maximum space for days of fishing, cruising, skiing, diving or everything combined. 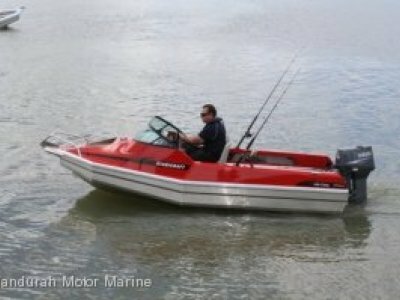 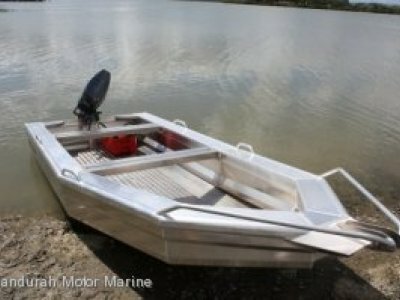 Perfect for all family boating with wrap around windscreen to help keep out the weather. 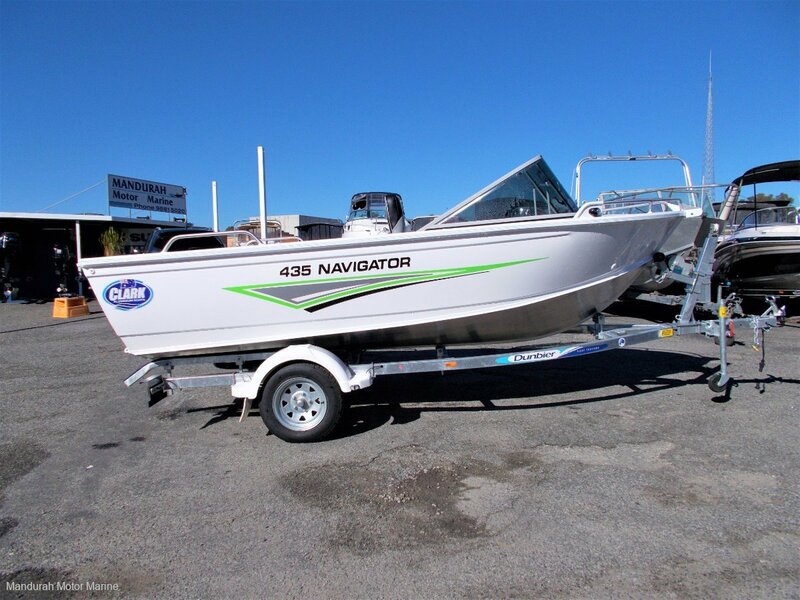 Have some fun and adventure aboard your 4.35 Navigator, which comes standard with a Motor Well and 60L Underfloor Fuel Tank.